West Georgia Cycling will host the 3rd annual Tour de Carroll community bike ride on Sunday, Oct. 18. The ride is open registration for all members of the Carrollton community with a registration fee of $30 for single riders or $50 for families. 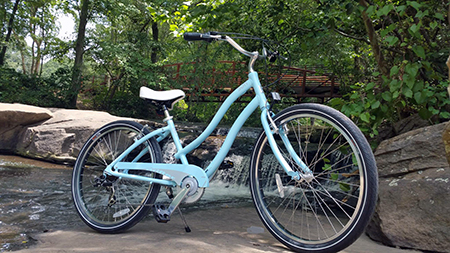 The registration fee also includes a raffle ticket to win an Aqua Sun Drifter 7 bicycle donated by West Georgia Cycling. All proceeds from the event will be donated to the Carroll County Domestic Violence Shelter/Good Samaritan House. 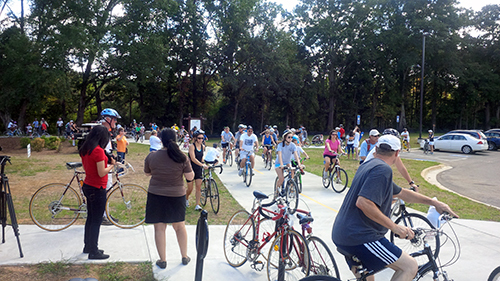 The tour begins at 2:30 p.m. from the Target parking lot and participants will ride the GreenBelt Trail along Hays Mill Road and GA 166 to make their way to the University of West Georgia (UWG). The group will use the roundabout by Center Pointe Suites as a halfway marker and return to Target using the same route for a total distance of nine miles. Adam Alvord, owner of West Georgia Cycling and avid bike enthusiast, launched Tour de Carroll in 2013 in an effort to highlight the fun, family activity bike riding can be. Along with the ride, West Georgia Cycling has activities planned for participants in the Target parking lot, including a cupcake walk, jump houses, door prizes and live entertainment provided by Karen Vance from the company Music You Love. The activities are just supplementary, though, and Alvord hopes the community will come together primarily for the bike riding aspect. In its first year, Tour de Carroll saw 127 riders. The second year had a slight decrease in participation, so this year Alvord plans to rally some enthusiasm from the community and surpass their previous record. “We hope to see more people attending and are really trying to get the word out, because it’s for a good cause,” said Alvord. Interested riders can register prior to the day of the tour by visiting West Georgia Cycling, located at 415B Bradley St. in Carrollton, or online at www.westgeorgiacycling.com. Registration on the day of the ride opens at 1p.m. in the Target parking lot and closes at 2p.m.